A lot has happened over the past week when it comes to 90 Day Fiance couple Ashley Martson and Jay Smith, and over the weekend, Ashley admitted to faking her recent split from Jay as she also came clean on a number of other lies regarding their relationship. 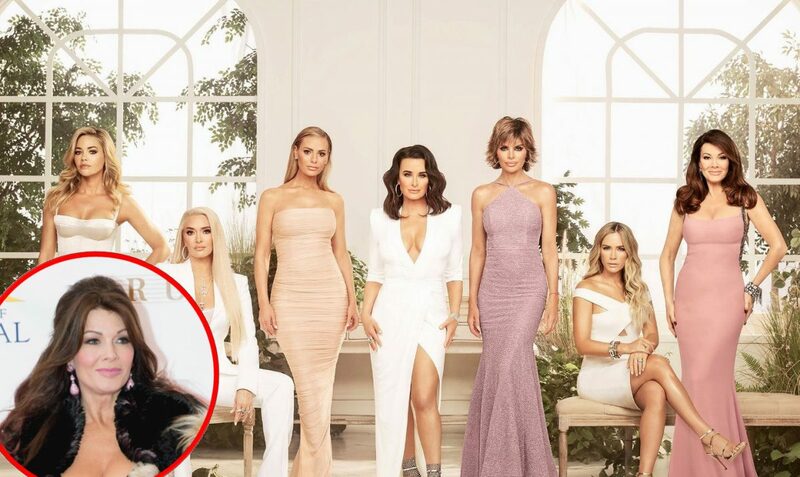 Even more, Ashley went as far as to accuse the show’s producers of forcing them to come up with fake storylines for the TLC series. Right away, fans were puzzled because ‘Callingyououtfraud2’ was an account that had been leaking photos and personal information about the couple late last year. In fact, many fans felt bad for Ashley and Jay after that page leaked their wedding photos without their permission. So, it was rather remarkable when Jay made this error and fans discovered he and Ashley were behind the account all along. 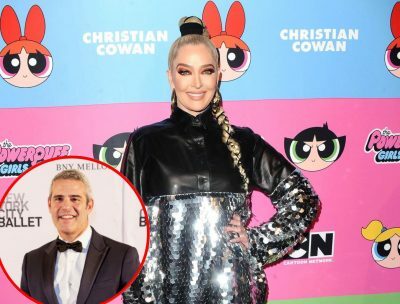 The couple went silent for days as fans demanded an explanation for why they would create an account to bash themselves and then pretend to be victims. 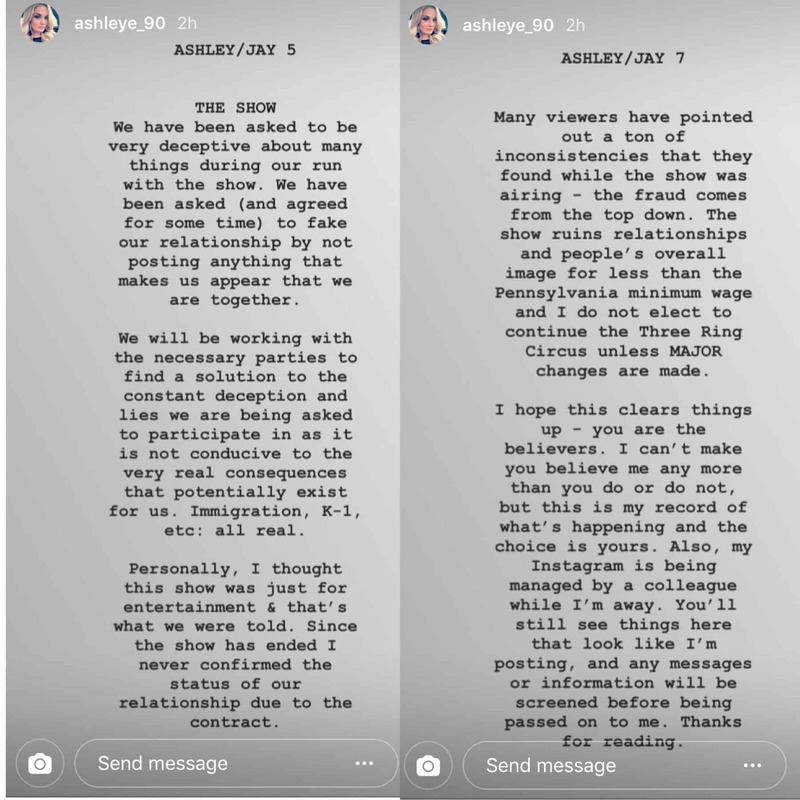 Ashley deleted her social media pages at some point, but ultimately, on Sunday, she took to her Instagram page and came clean about lying and making up storylines for the TLC series. 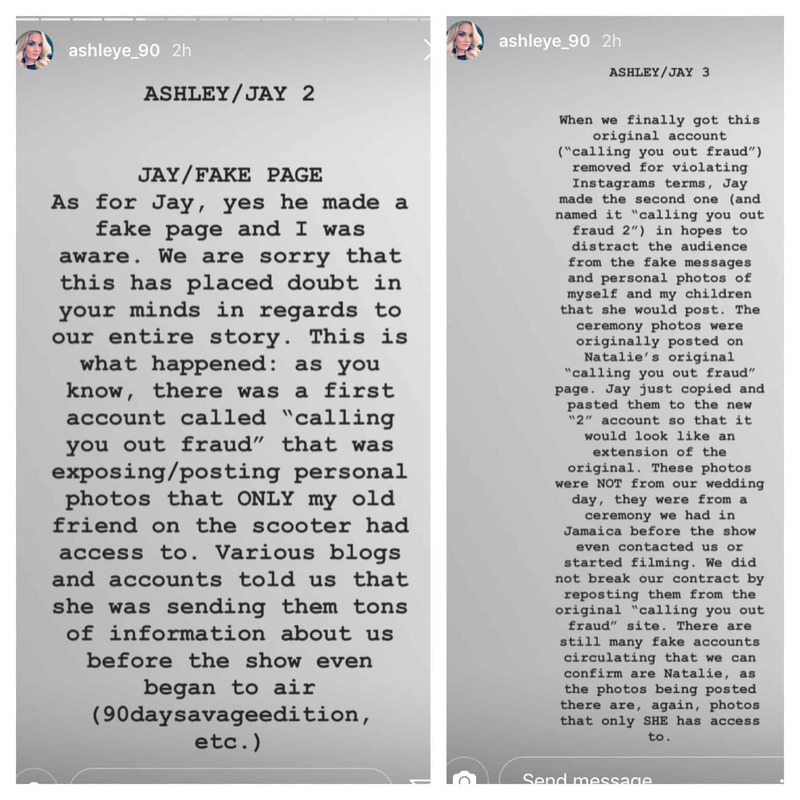 First, Ashley admitted that Jay did create the fake page and tried to explain why. “As for Jay, yes he made a fake page and I was aware. We are sorry that this has placed doubt in your minds in regards to our entire story,” she wrote. 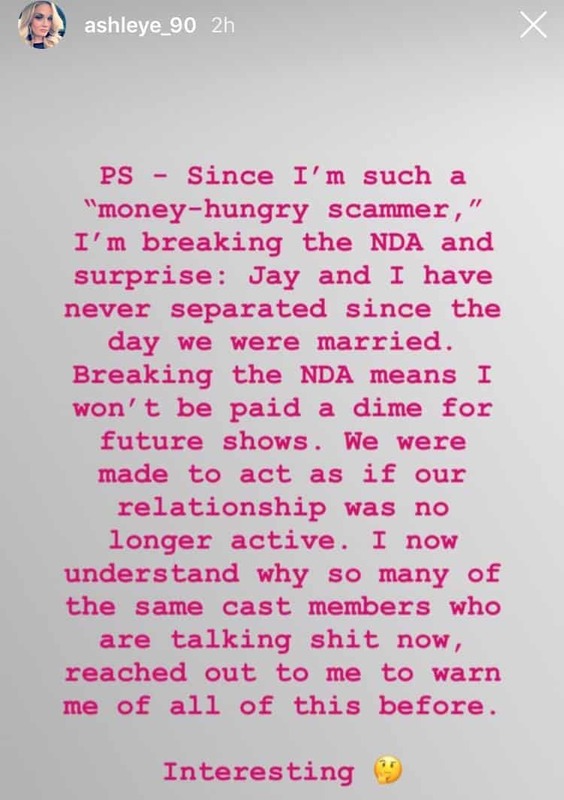 She then went on to explain that the original ‘Callingyououtfraud’ page that was leaking photos of them, including photos of Ashley’s two children, was legit, but that after that page was deleted by Instagram, Jay decided to create the new version of it to distract from negative press about them. Screenshots from Ashley’s Instagram Stories are below. 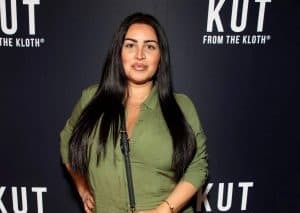 Ashley then admitted that even her split from Jay last December, which included a divorce filing that was later withdrawn, was also fake as she blamed 90 Day Fiance producers for forcing them to create fake storylines for the show. 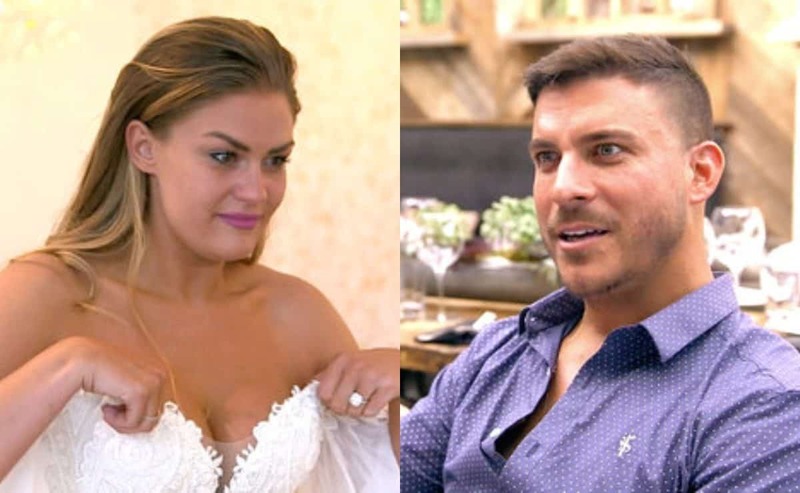 In case you’re wondering, the couple is scheduled to appear on the 90 Day Fiance: Happily Ever After spinoff series, so they were filming that show, which will air later this year, while all of this online drama was taking place. 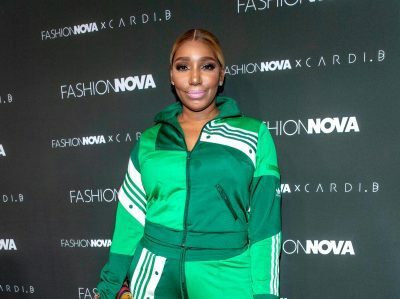 Finally, Ashley told her fans that by revealing all of this information, she was, in fact, breaking the NDA (Non-disclosure Agreement) she signed and that as a result, she would no longer be paid by the TLC network. She also implied that she is not the only cast member who was encouraged to lie and make up storylines for the show. 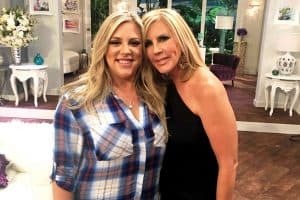 As expected, many fans also began to question if Ashley’s health issues were real or simply part of the storyline fraud. If you recall, Ashley was hospitalized in January for complications of lupus. A GoFundMe page was also created for her and over $3000 was raised to help her with medical bills. Well, she is insisting her medical issues were real and not made up. In fact, she claims she had to prove her hospitalization to GoFundMe after the page was reported for fraud to the fundraising site. Still, she revealed earlier today that she will be refunding all of the money raised from her page to everyone who donated. 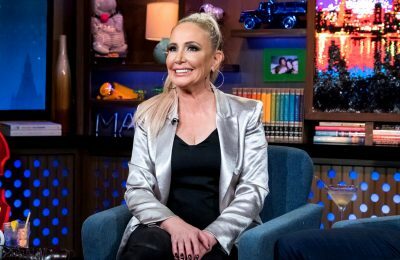 The TLC network has yet to respond to Ashley’s statements. TELL US – THOUGHTS ON ASHLEY’S REVELATIONS? ARE YOU SURPRISED? DISAPPOINTED?